Tucker is a two-toned brown, classic teddy bear. 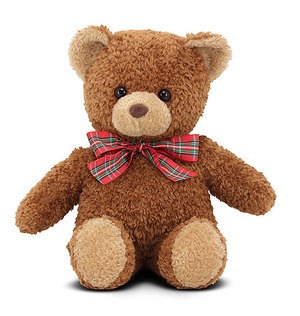 With a weighted bottom and red-plaid bow, this good-looking stuffed animal sits beautifully--and hugs even better! Surface washable. Dimensions: 16.5" x 6.5" x 10.25"